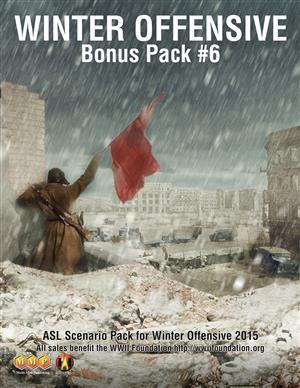 ASL Winter Offensive Bonus Pack #8 (2017) features three new scenario designs by Ken Dunn and a new geomorphic mapboard (76), also designed by Ken. 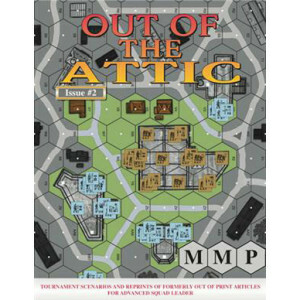 MMP has an ulterior motive, however, for the manufacture and sale of this particular product. 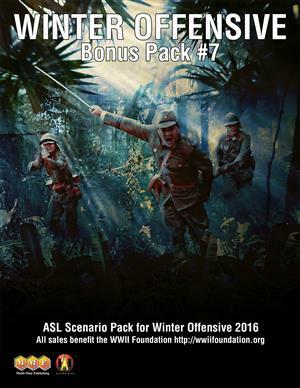 Proceeds from the sales of each WO Bonus Pack #8 are donated to the WWII Foundation. You get a nice new map, three more ASL scenarios, and help a great project dedicated to memorializing the efforts of the men who fought in WWII get a very nice donation. 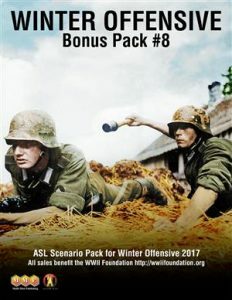 This really seems like a win/win in our opinion. 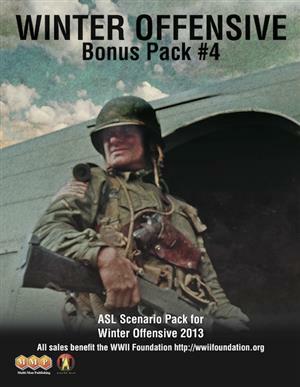 SHIPPING NOTE: This WO Bonus Pack will ship in a USPS flat-rate envelope if ordered separately (US addresses only).